Cleaning a closet the other day—or at least thinking about cleaning it—I came across some scuffed and battered little shoes. My heart smiled. I thought I'd lost them. But I knew I hadn’t thrown them out. They were too valuable. I remember well the day they were purchased. My three-year-old daughter Kristin and I were strolling the aisles of J.C. Penney when she spied them. There was no way we were leaving the store without those shoes. Not without a scene, anyway. The threat of a tantrum wasn’t what convinced me to buy them. 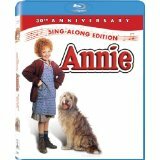 We had recently purchased the video Annie, and it is understatement to say she was enthralled by that movie. She knew the words to every song, the names of all the orphans, at least half the lines. She also had her own versions of the tap dances, which she labeled “clap dancing.” As she explained in the store, she desperately needed those shiny red shoes to properly execute that activity. I could see her point. Those inexpensive shoes well might have been one of the best investments I ever made. The bows became tattered, the soles wore thin, and the buckles and insoles disappeared completely. But it made no difference to Kristin. Even after they were too small for her, she’d cram her chubby feet into them and dance with pure joy, oblivious to the pain. By herself or with other people present, she’d shuffle her feet, flail her arms, and, of course, throw in the requisite claps. Because most of our house was carpeted, our small brick hearth became her stage. Today, Kristin has babies of her own, the oldest almost three. He is as taken with the movie Cars as Kristin was with Annie. I’m picturing her one day in the future, cleaning out a closet and coming across a toy model of Mater or Lightnin’ McQueen. I’m betting she doesn’t throw it out. Have a “worthless treasure” you’re not willing to part with? (It doesn’t have to be kid related.) Share, please! My ninety-two-year-old grandmother told me recently to "Keep your memories. You have room for them." Is it a coincidence that the next day my mom offered a huge collection of my old toys to my children? I love this post, Dee Dee. You made me cry. What sweet memories! I have an old troll named Penelope that has been with me since "we" were five. She came with me to get my tonsils out, and made it through my many moves. Her hair is now removeable, and there is only one dress that made the 46 year journey. I think she is beautiful. This was precious, Dee Dee! My seriously battered treasure is a handful of books my sister and I read (and re-read)as preteens - The Velvet Room, Blueberry Summer, Senior Year - which were a little dated even at the time.Every decade or so one of us takes a trip down memory lane with those quick reads. I still LOVE the Velvet Room - it's timeless.